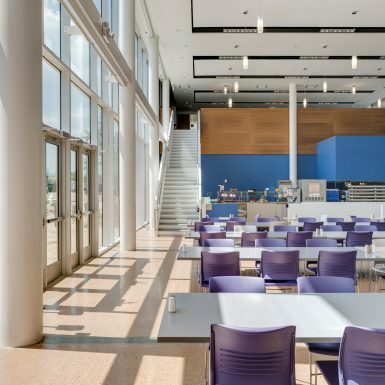 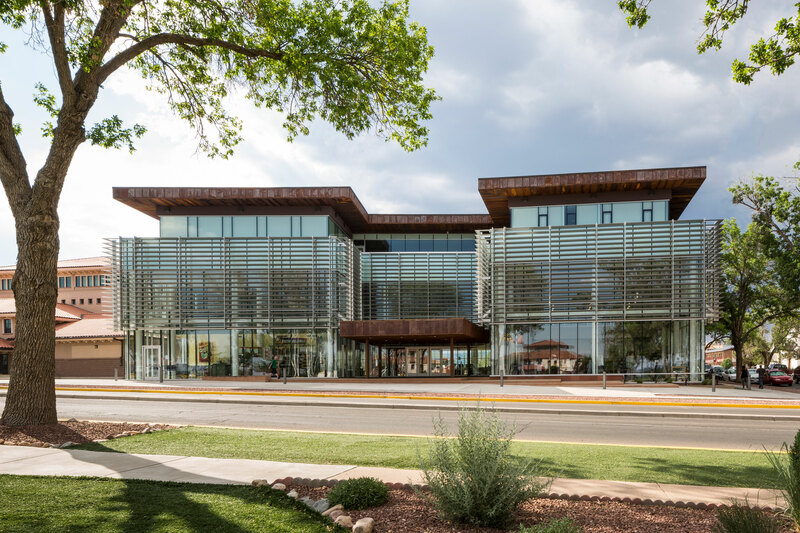 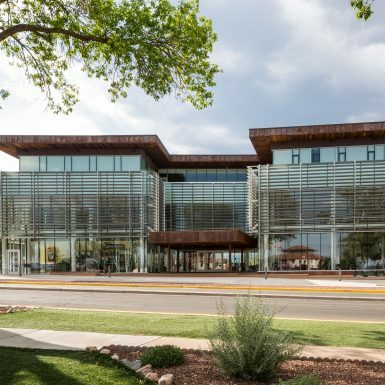 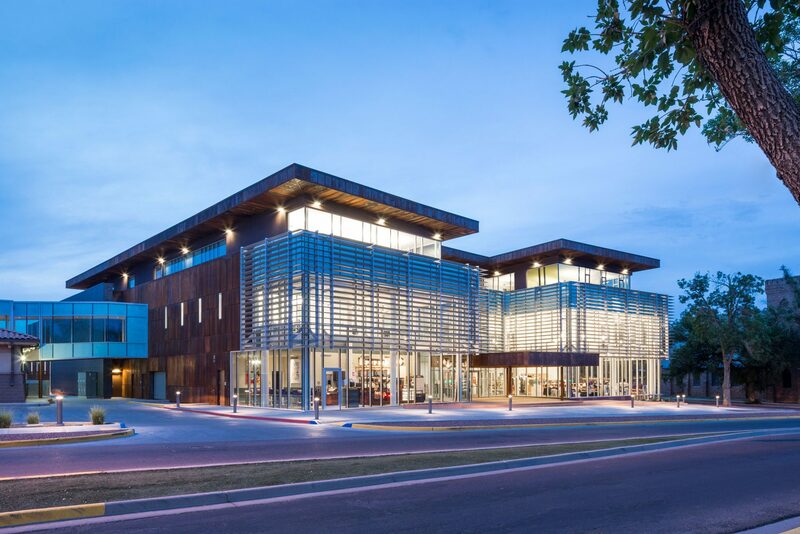 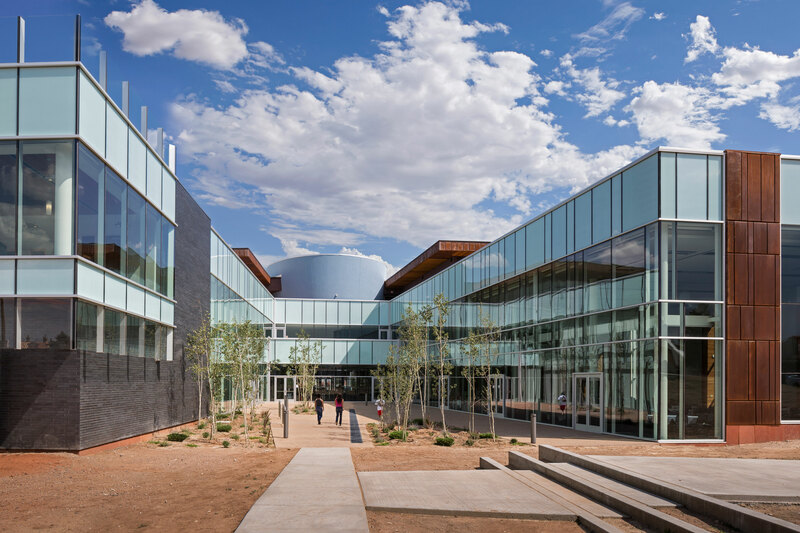 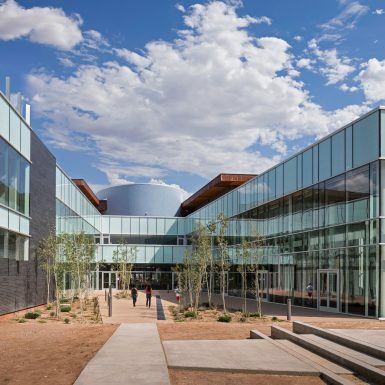 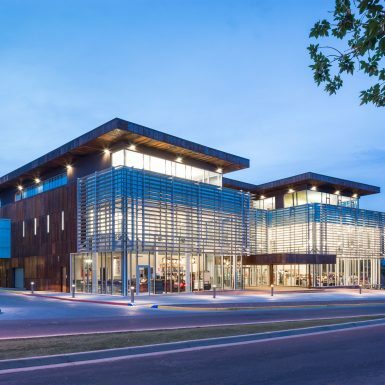 The Student Union Building acts as a gateway to the NM Highlands University campus while providing much needed and expanded facilities to serve the growing student population. 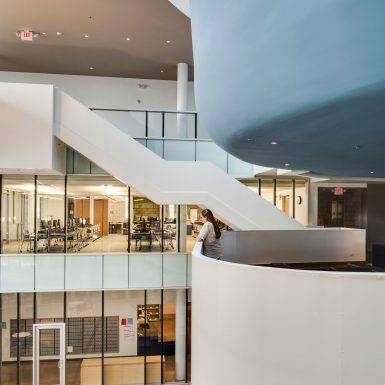 Designed in a joint venture with Diamond Schmitt, this LEED Gold certified, new 65,000 sf three-story building is envisioned to be the centerpiece of student activity for the University. 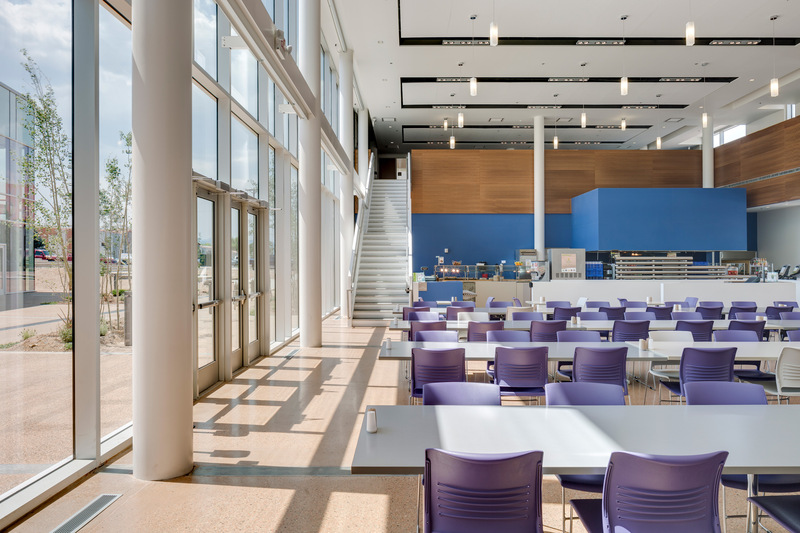 Organized around a central atrium and sheltered outdoor courtyard the program includes a ground floor cafeteria, ballroom/conference facility, bookstore, theater, post office, and café. 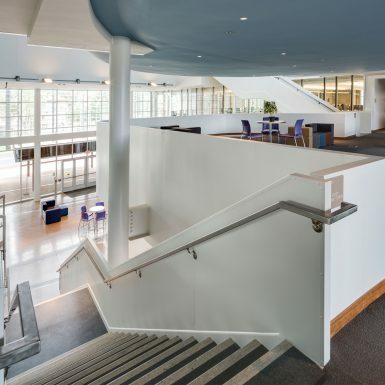 The upper floors include lounges, a games room, computer lab, student service offices, and meeting rooms. 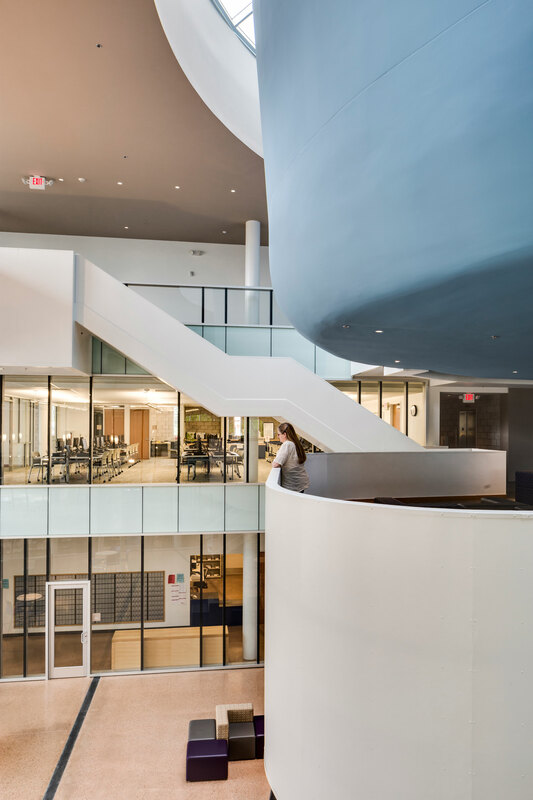 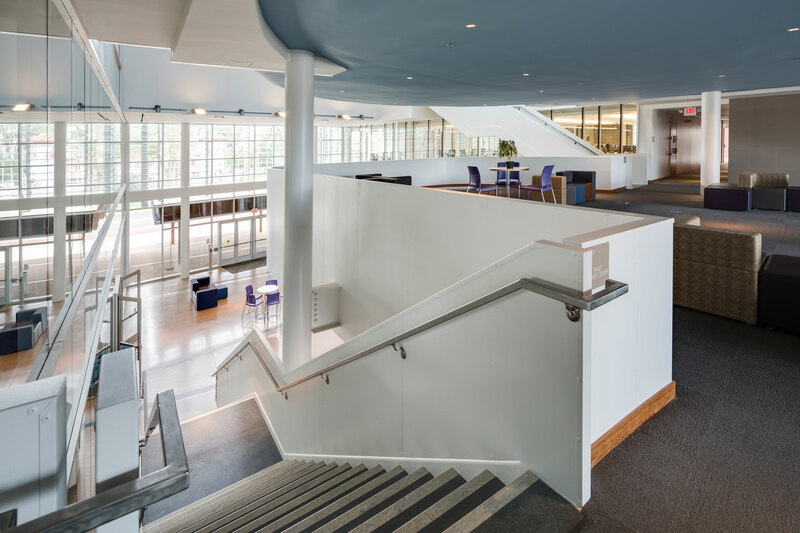 Holding a central position in the composition, a student governance room floats within the atrium space, bridging both wings of the new building.